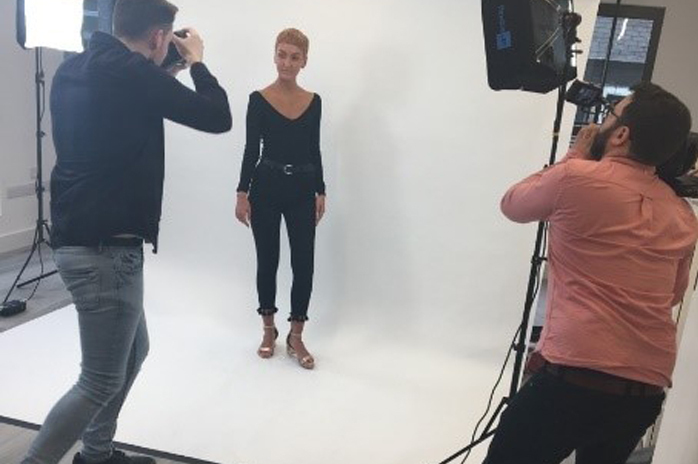 Did you know we have a photography studio at the Salon? You may not have realised that the top floor of our Salon in Manchester is, in fact, a photography studio. It is a popular venue for fashion and other show-related shoots. We created it for the fashion industry shows and shoots we are regularly called to work on. The studio is available for hire by photographers, fashion editors or clients alike. On-site you can also draw on our award-winning hair styling and makeup team. The studio has easy access, exclusive changing rooms, a kitchen and toilet on the same floor and so whether you are running your own shoot, or would like to arrange a VIP pampering experience ending with a professionally-taken portrait of yourself, you can be assured of a fantastic location. Find out more and how to book the photography studio.